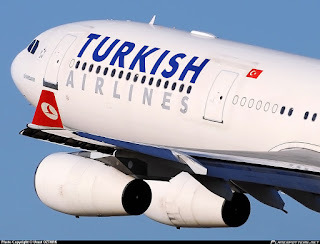 Turkish Airlines, a highly rated Star Alliance airline, is offering flights from Toronto to Tel Aviv via Istanbul from $841CDN for a Passover visit. The kosher food option is very good, with food made under the supervision of the O-K out of Istanbul and under a reliable certification out of Tel-Aviv and Toronto. You get the typical 2 checked in bags, so though you can go WOW Airlines through Iceland for $700 on different dates, you have to pay for everything with WOW--possibly even the privilege of being seated in an aisle that has closed windows (LOL). Cheaper prices are available for different dates. Use the Google Flights engine to find the cheapest dates that work for you. Click on the pic above to be redirected to Google Flights, click on the day I've pre-chosen and see the calendar open with prices for departure, and then after you click on one, prices for return.